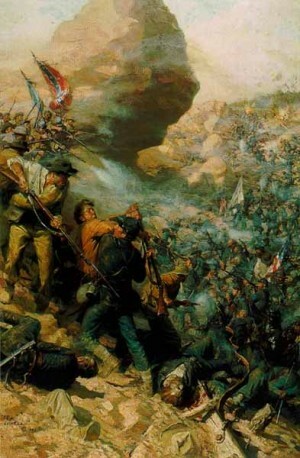 The new issue of Civil War Book Review is now available, which includes my review of Earl Hess’s new book, Into the Crater: The Mine Attack at Petersburg (University of South Carolina Press, 2010). I think we can safely say that we’ve seen enough military studies of the battle of the Crater over the past few years. They run the gamut from detailed tactical studies to thoughtful commentary about the significance of the racial component of the battle. Earl Hess’s new book belongs somewhere in the middle. Not surprisingly, his book is the best overall study of the battle. I’ve had the opportunity to review three recent Crater studes: Alan Axelrod, The Horrid Pit [Journal of Southern History], John F. Schmutz, The Battle of the Crater: A Complete History [H-Net], and Richard Slotkin, No Quarter: The Battle of the Crater, 1864 [Civil War Book Review]. Over the past two decades Earl J. Hess has established himself as one of the foremost authorities of Civil War military history. He has done so with award-winning studies of the experiences of the common soldier, battles such as Pea Ridge and Gettysburg, and (in the opinion of this writer) one of the finest brigade histories ever written. In recent years Hess has added to this list with a history of the rifle musket and a 3-volume study of the evolution and influence of earthworks on the war in the Eastern Theater. Rather than rehash the standard narratives, readers have come to expect that Hess will challenge many of their deep-seated assumptions about the war. In the case of his most recent study of the battle of the Crater that task is made more difficult given the publication of four books of varying degrees of quality over the past five years. Minor quibble—I would swear that Slotkin’s book mentioned the execution of Confederates by some of the USCT. I should go back and check, James. You are probably right. Hess definitely gives it the most attention. Can I ask, is there a particularly reason why the final year of the war is receiving more treatment nowadays? Would it be anything to do with the fading idea that the Confederacy would inevitably lose? Or do these things work in shifts and soon the focus will be another year or campaign? my apologise I’ve just looked at your review for Alan Axelrod’s work and you answer my question in the first sentence. Thanks. Next post: Black Confederates in a 7th Grade Classroom?